Matt leads the Salesforce CPQ Practice at ATG. In doing this, he works as oversight for all CPQ projects, a liaison to Salesforce, a trainer for Salesforce CPQ, a Solution Engineer, a Solution Architect, and a Program Manager. He has nearly 10 years of experience in Consulting, Sales and CPQ. These roles all involved high-tech and focus on B2B businesses. Matt’s ambitions at ATG are to scale the Salesforce CPQ Practice while maintaining high quality delivery on all Projects. Building out a practice that hinges on training, shadowing and a methodology is what allows ATG resources to scale faster while keeping good relationship with Salesforce and ATG’s clients. 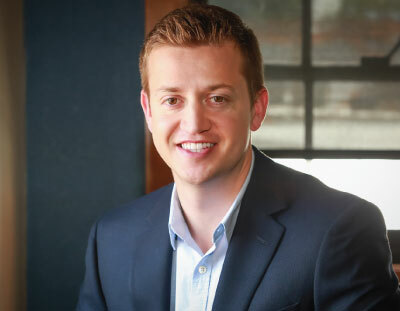 This is the second time Matt has worked at ATG; he started his career at a Global Big Four consulting firm, worked at ATG as a business analyst and then did a stint for a fortune 100 Software Company before returning to ATG. This work helped round him out to understand the dynamics of many types of organizations. Co-Authored the current Salesforce Certification Exam. He was the only person who had never worked for Salesforce or Steelbrick invited to help write the exam. Helped lead and oversee over 70 Salesforce CPQ projects from Design to Go-Live involving over 100 different ATG resources. Worked as ATG’s first Solution Engineer by scoping projects, demoing solutions, and writing Statements of Work (SOWs). –	Defined the Practice Lead role at ATG by creating the original Project Methodology, and Training Curriculum for Salesforce projects. Led an inside sales team for lead generation at ATG for a supply chain management company.